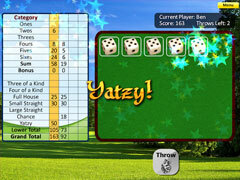 Two Yahtzee games in one! Enjoy two great Yatzee games in one! In Yatzy Twist, you can play both normal Yatzy, and the more strategic Maxi Yatzy (the twist! ), a game with six dice and more categories to put points in. 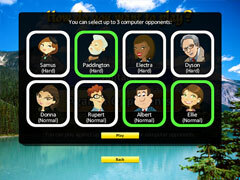 You can also play against up to three friends or compete against the computer. 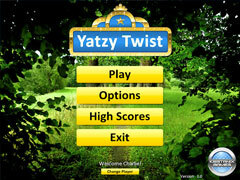 Enjoy a peaceful round of Yatzy, or try to beat the highscore while you try to outsmart the computer in Yatzy Twist!